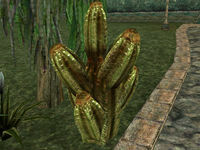 Lloramor Spines are collected from the Spiny Lloramor, a large cactus found only in planters in Mournhold. 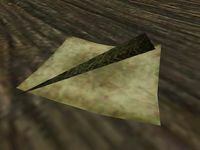 The spines are not sold by any vendors and cannot be found as random loot anywhere, so these plants are the only source available. In some cases, it is a crime to harvest them, so watch out for witnesses first. Each plant can contain up to two samples. This page was last modified on 26 January 2019, at 19:56.